Even choice knives will lose their initial sharpness over time. 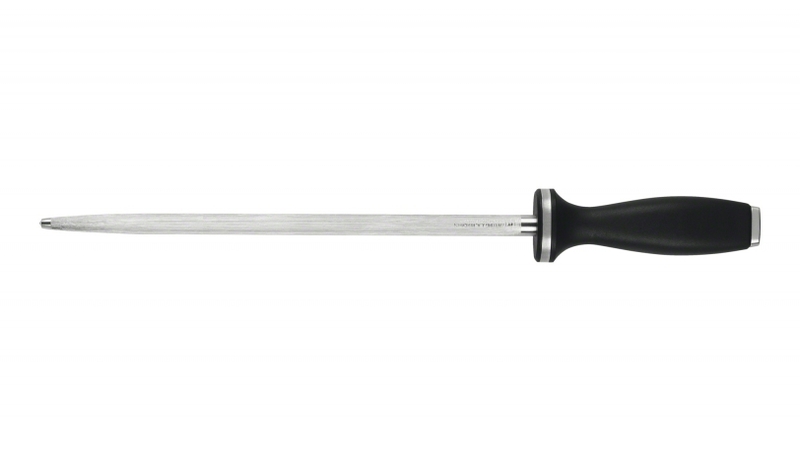 This premium steel restores maximum sharpness to knives in just seconds. Ice-hardened stainless-steel ensures maximum strength for superior knife sharpening Magnetic to gather small particles removed from knife blade. Molded handle offers easy-grip comfort.